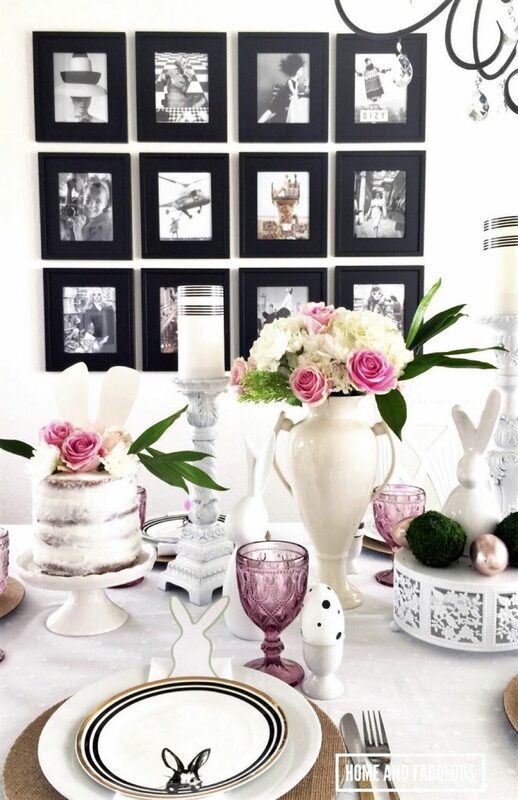 Can’t get enough of bunny decor at Easter? Us either. 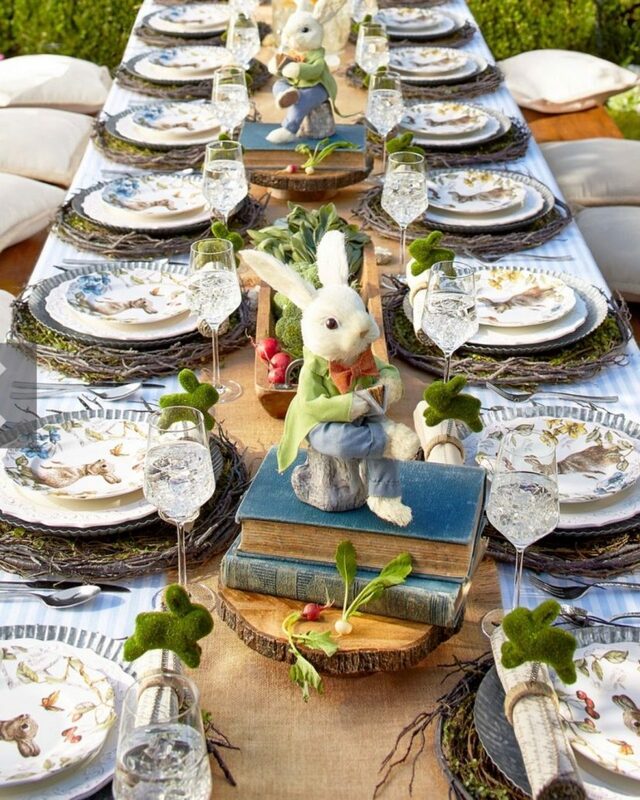 From bunnies to blooms and everything in between, we’re loving today’s garden-fresh looks for your dining table. It’s been great fun to see the resurgence of Beatrix Potter characters and themes coinciding with the recent release of the movie Peter Rabbit. 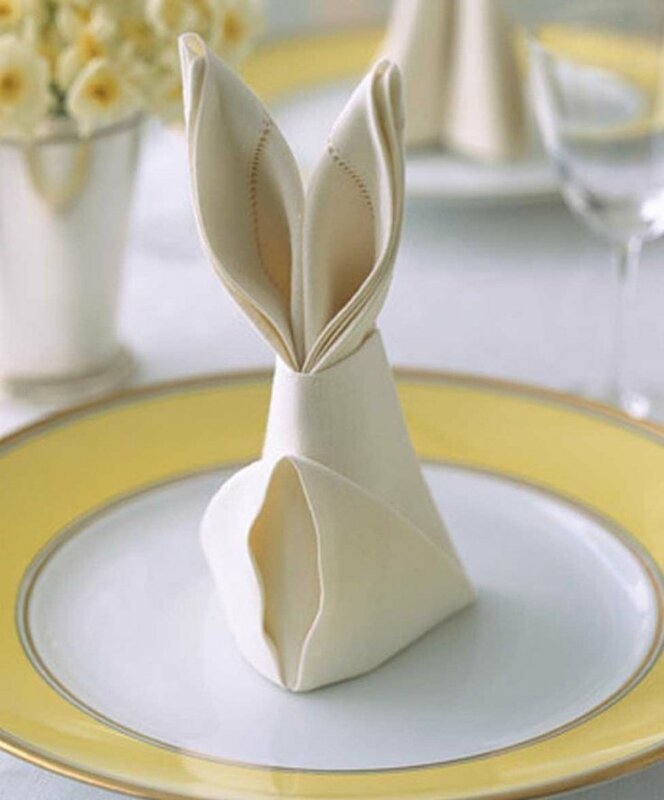 With Easter almost here, it’s the perfect time for a bunny-inspired tablescape. 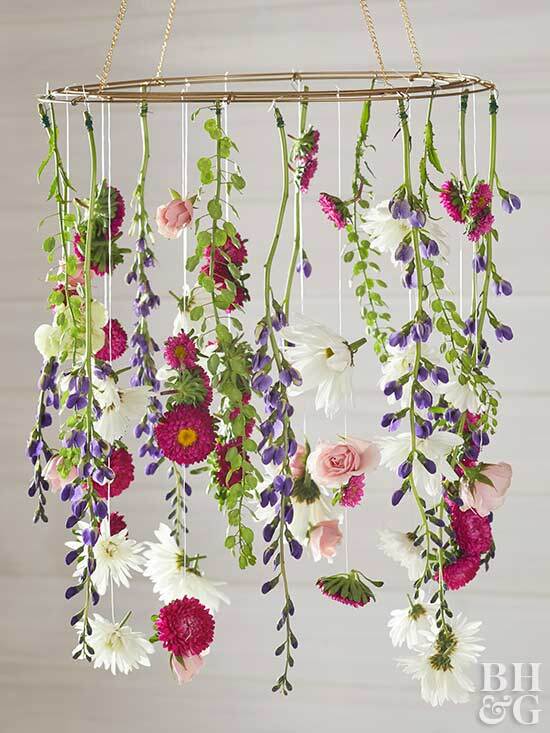 Source: pier1.com. 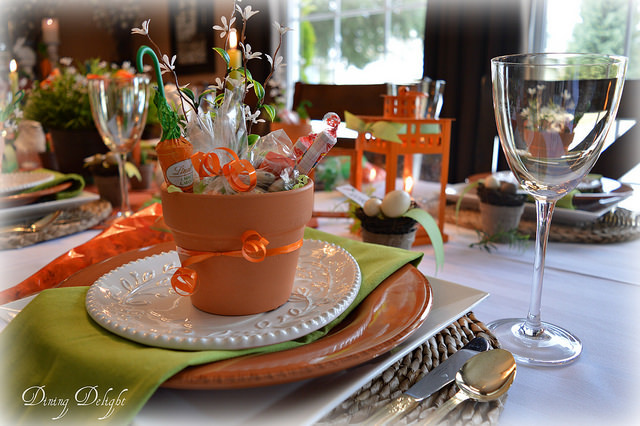 Spring green and terracotta provide the perfect color palette for this Easter tablescape. Source: Dining Delight blog. 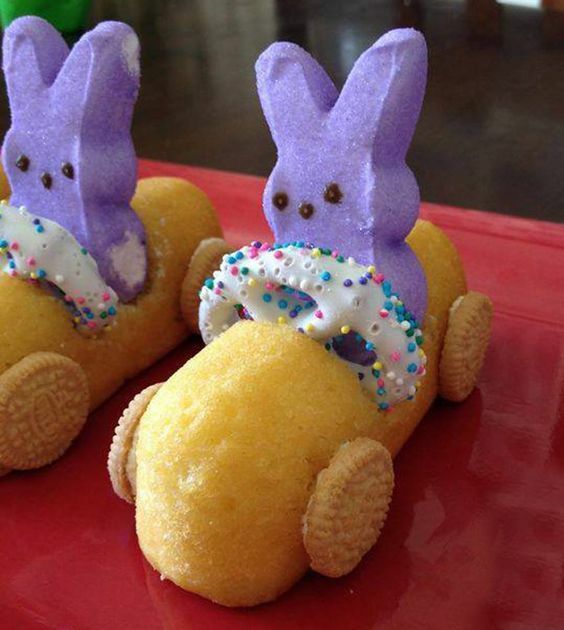 Appealing to generations of all ages, these fun Peeps® racers are made with pre-made items and assembled with icing. Make them ahead of time and let them do double-duty as a centerpiece and dessert. 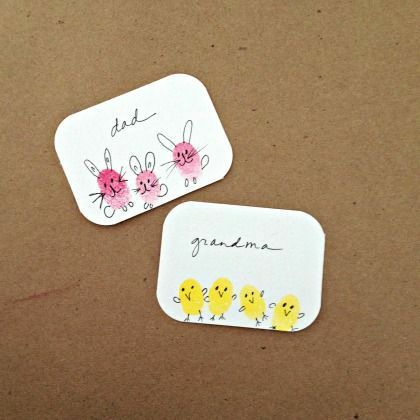 Photo and directions: wonderfuldiy.com. 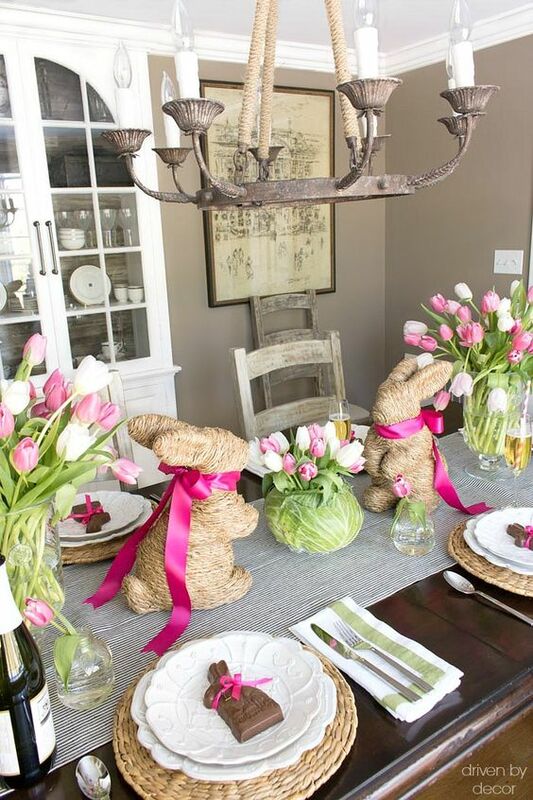 If you’re looking for ways to refresh your dining table for Easter and spring, try adding some garden-fresh elements. 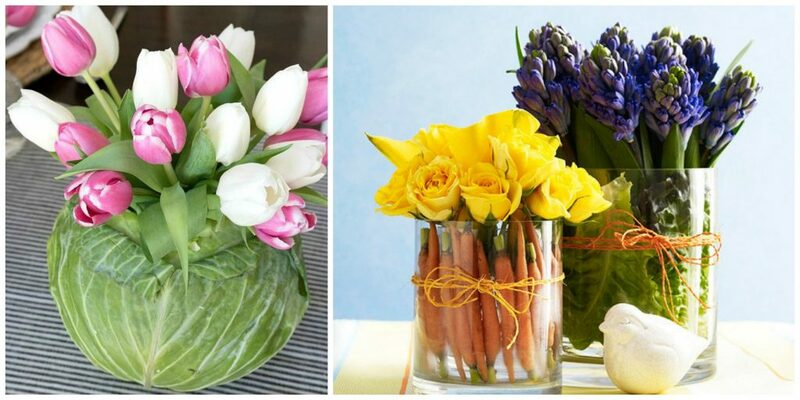 Whether you use real flowers, vegetables or bunny elements, the farmer’s market offers nearly unlimited inspiration. 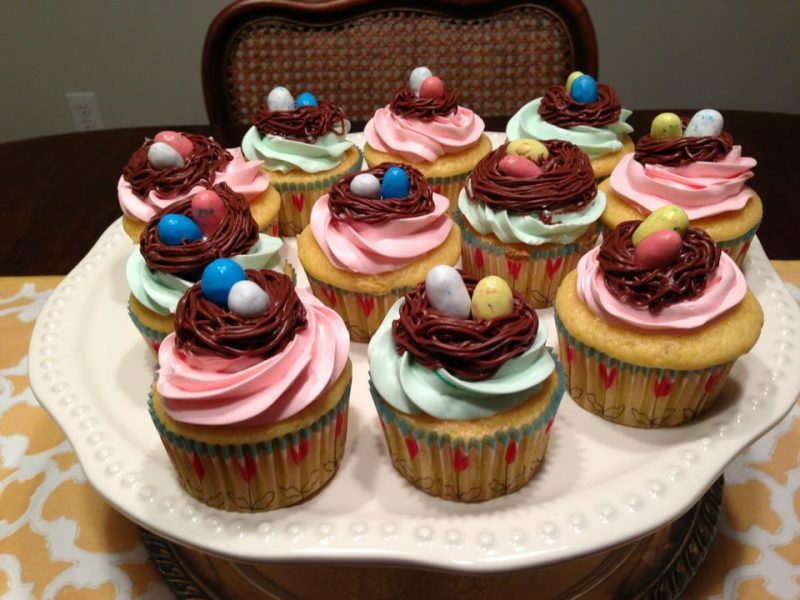 Try adding “bird’s nests” to your Easter cupcakes to keep the garden and nature theme going. 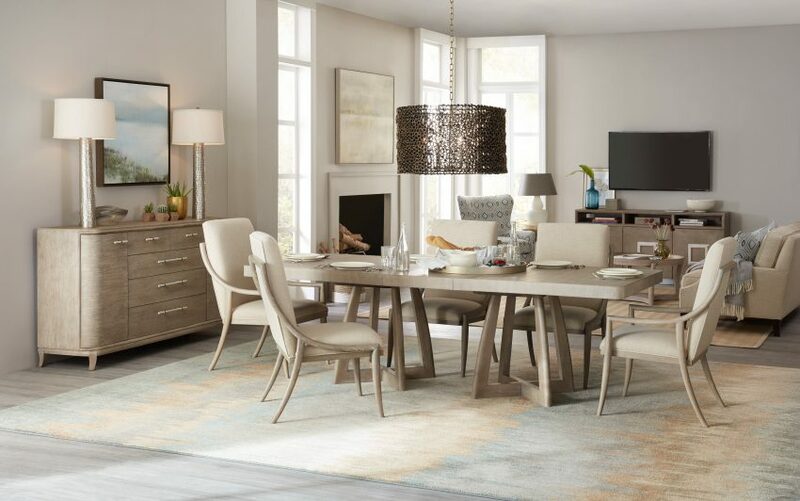 Great decor and accent furniture for your outdoor events. Your guests would be impressed!